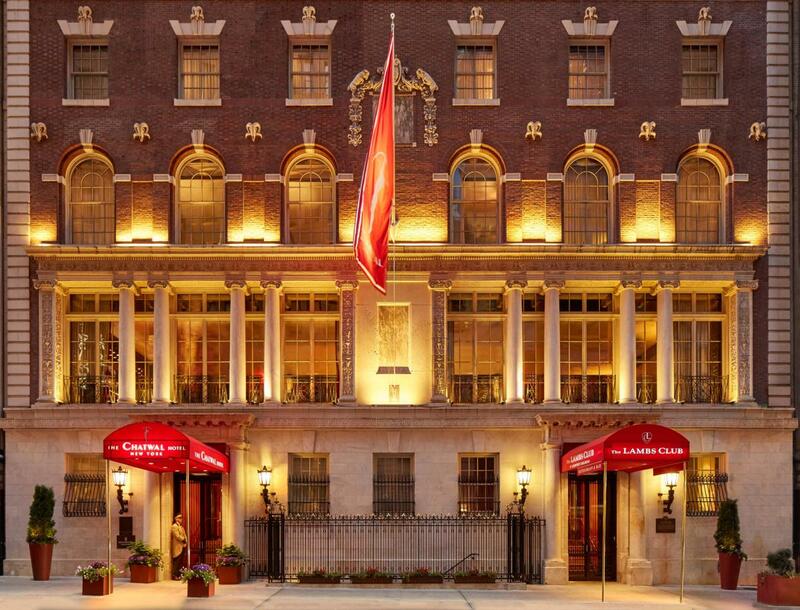 The Chatwal, A Luxury Collection Hotel's landmark Stanford White-designed building, in the heart of the Theatre District, was originally home to the famous Lambs Club, a veritable Who's Who of American theater. 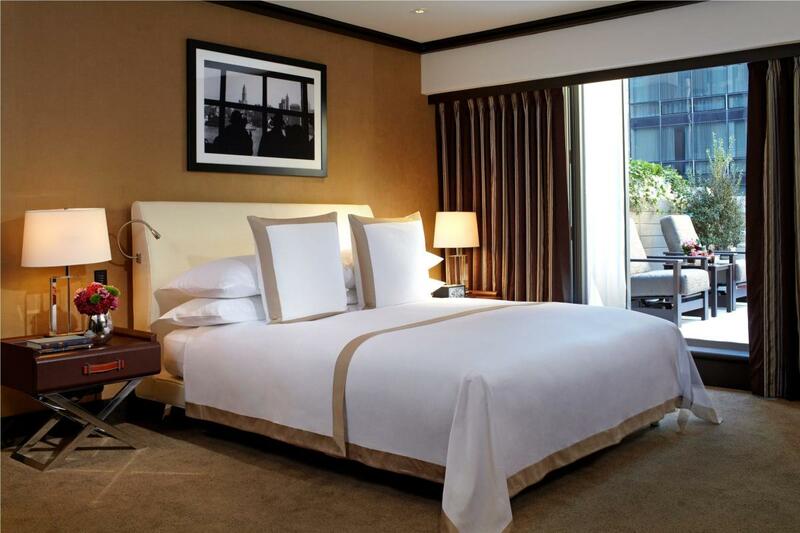 Beautifully restored and modernized by architect and designer Thierry Despont, the Chatwal’s 76 guestrooms boast custom-designed luxuries while meticulously recreating 1920s Deco design. Celebrated chef Geoffrey Zakarian lends his touch to the Lambs Club, the 90-seat, club-like restaurant. A fitness lounge, spa services, and meeting and banquet facilities are on-site. Description The Club Room can be converted into two smaller event rooms - Club Room North/South. The space comes with a dedicated bar, private restrooms, coat check, A/V capabilities, wireless internet and an independent sound system. 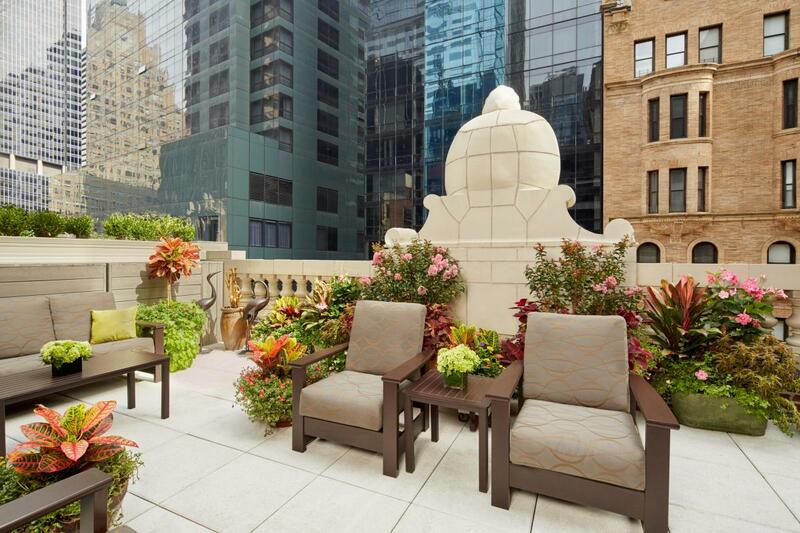 Stanford White Studio features original 1905 oak wood paneling, fireplace and private terrace.